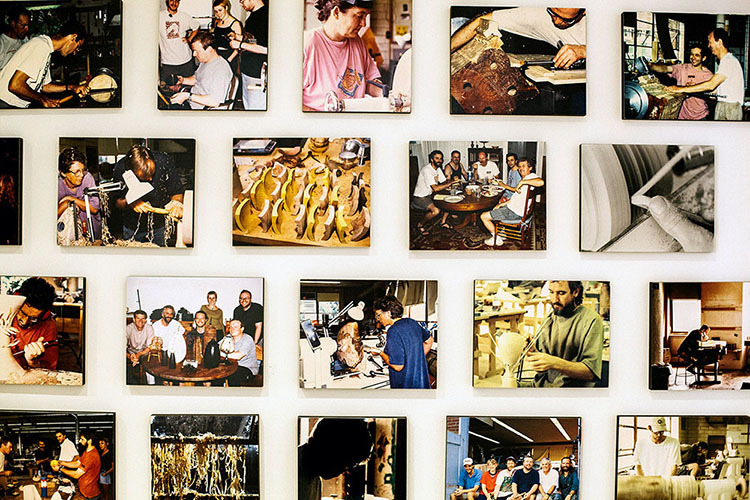 The Center showcases four to five exhibitions a year, ranging from functional, everyday works of art to contemporary sculptures. 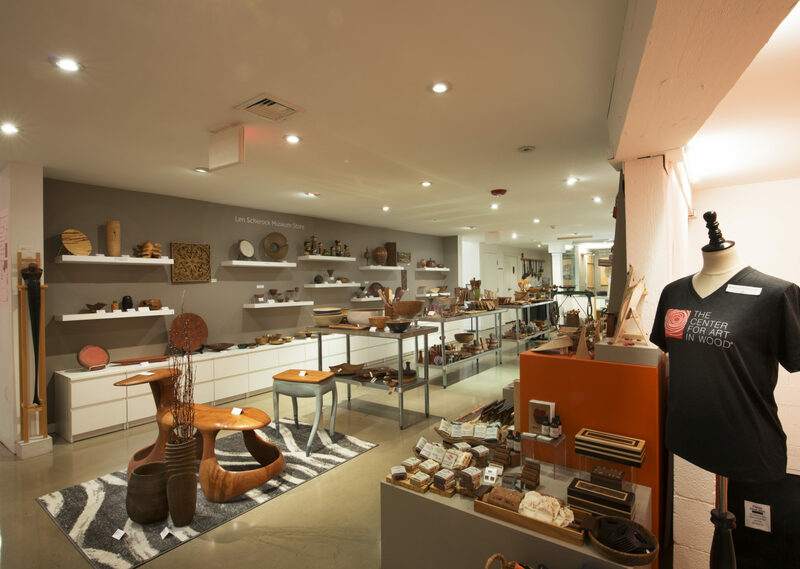 Date Night at The Center for Art in Wood | Fri, April 12, 2019 | 6 – 8 pm Join us for a fun Date Night with your special someone, your mom, your best friend or anyone that you want to spend time with! The evening starts with a tour of our current exhibition, Pennsylvania Made: Local Forms in the Collection, followed by a crafting table for exploring color and design. Enjoy light refreshments, wine, and music while crafting your heart out. Space is limited so register today and remember that Date Night isn’t just for lovers! Each month the Center offers a free seasonal hands-on craft for all ages to enjoy. Check out the events page to find out this month's schedule. Object Lesson is a monthly First Friday speaker series that opens wide the cases of the Center’s Museum Collection through the perspectives of individuals from the worlds of art, design, performance, community activism, education, and more, creating fresh dialogues about the Collection and its objects. Object Lesson is a monthly First Friday speaker series that opens wide the cases of the Center’s Museum Collection through the perspectives of individuals from the worlds of art, design, performance, community activism, education, and more, creating fresh dialogues about the Collection and its objects. 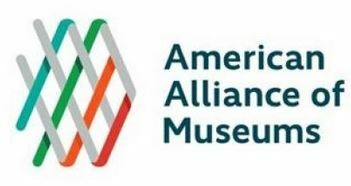 The series invites the public for an up-close and personal experience in an informal, discursive setting that will encourage exploration of the many treasures in the Collection. Celebrate and support the Center at our first annual Bandsaw Bash spring fundraiser! Join us on Thursday, May 2 from 6:30-9:30PM. Purchase handcrafted artwork, toys, jewelry, home and kitchen items and much more. A collegial experience in which Resident Fellows explore new work through research, exploration, and collaboration. 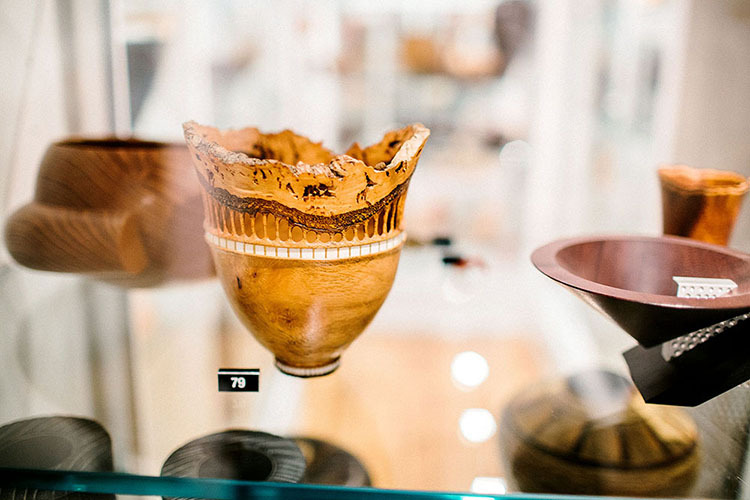 The Center’s Museum Collection consists of over 1,200 hand-made objects from around the world, ranging from functional, everyday objects to contemporary sculptures. 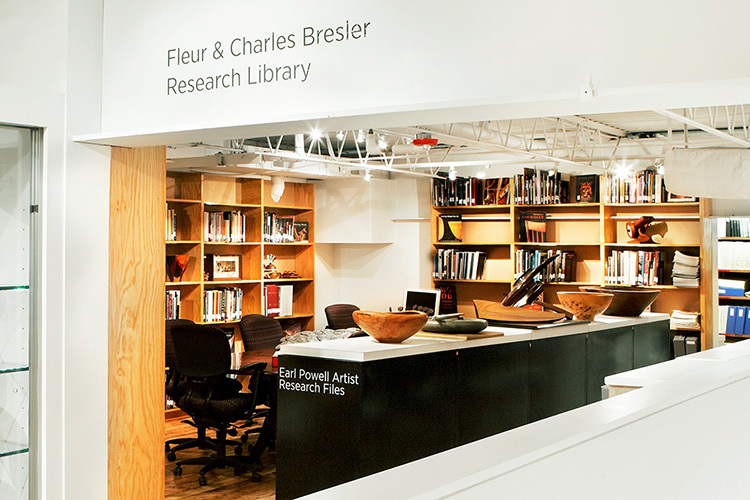 The Fleur & Charles Bresler Research Library helps preserve the rich history of wood working. Come see what all the BUZZZ is about!